– We can see the lake from our bedroom window. – Can you speak any foreign languages? – I can come and see you tomorrow if you like. – I’m afraid I can’t come to the party on Monday. – Are you able to speak any foreign languages? 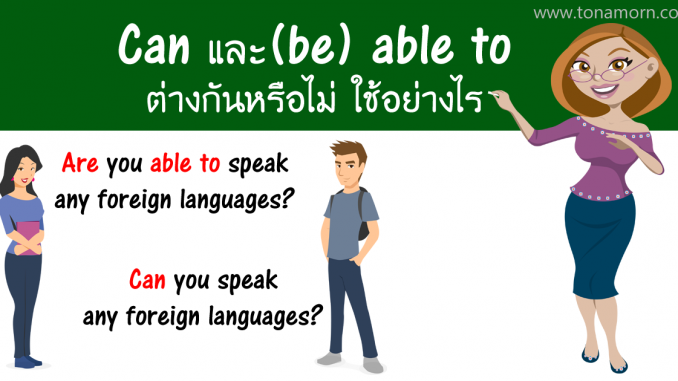 = Can you speak any foreign languages? – I haven’t been able to sleep recently.